Legends in the yachting world are woven with threads of mystery, then Jim Smith's story is a tapestry. 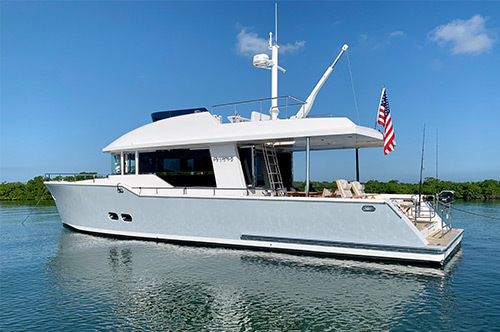 "While he only had a sixth-grade education, Jim was intuitive when it came to design," said John Vance, President of Jim Smith Boats. "Jim used to say he could see it in his imaginary mind? he really could!" West Palm Beach, Florida U.S.
Smith's background was eclectic. James Claude Smith was born in 1906 in Cherry Log, Georgia. He quit school after the sixth grade and took a job cutting wood. Wanting to make something of himself, he became involved in the "liquor distribution" business. Spending money in hand, he took an interest in barnstorming biplanes, motorcycle racing, and outboard race boats when "fast on the water" was 20 mph. Smith's success in boat racing led to a Johnson outboard distributorship. 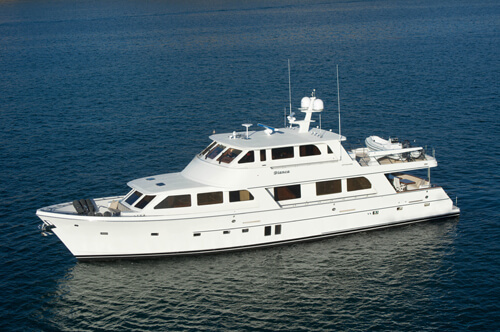 Smith attempted retirement in Boca Raton, Florida, but his interest in the water led him to boatbuilding and charter fishing. 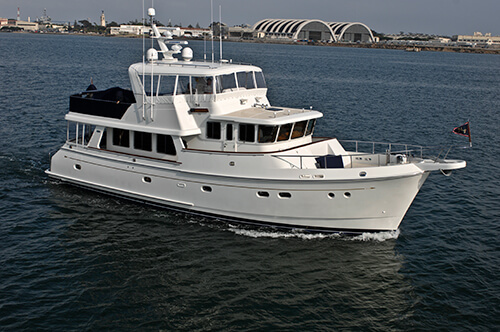 One of his first efforts, the 35-foot Boca Jima built in 1959, demonstrated Smith's passion for innovation. Cold-molded with double-diagonal cedar and epoxy resin, she was strong, lightweight, and capable of 44 knots. To enhance her aerodynamics, Smith designed a pod-like tower supported on four aluminum sailboat mast extrusions. Instead of a ladder, an elevator took the skipper aloft. This was a practical feature for Smith as a motorcycle crash had left him with a wooden leg. Vance suggested the design had another advantage. "Jim would leave the elevator in the up position while fishing so his charter guests wouldn't bother him." 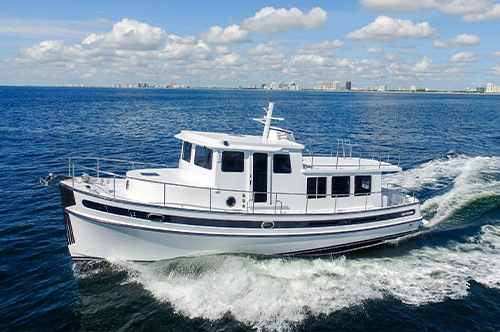 Boca Jima: The 35-foot Boca Jima built by Jim Smith in 1959 included a elevator tower. Smith had no children and when he passed away in 1994, Vance kept the shop doors open. "I had always been interested in sailing and dreamed of building racing sailboats," said Vance. "I never imagined I'd be building fishboats." Vance grew up on Lake Erie and has sailed everything from Lightnings to Farr 40s. "By the time I began apprenticing, competitive sailboat builders had moved to composites," said Vance. "I wanted to work in wood." At the time, Jim Smith was pushing the envelope in cold-molded construction, which appealed to Vance. "Smith had guts? he read about the new epoxy resins in 'Popular Mechanics,' figured they were perfect for boatbuilding and gave them a try." Other boatbuilders took notice. "Before John Rybovich passed away he admitted to me that he had underestimated Jim's genius," Vance noted. "John had been certain Jim's boats would come apart." In the old days, boat design and engineering was more or less seat-of-the-pants. Jim's rule was "never use more than you need but always use enough," according to Vance. This simple credo still guides Vance's approach today, although the new boats are carefully engineered.